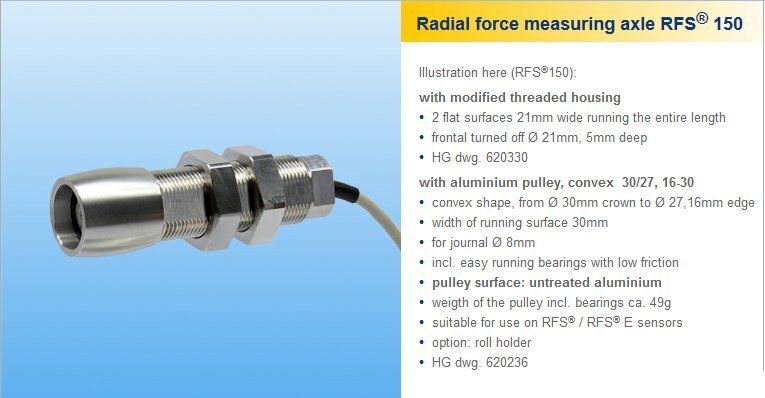 The Honigmann RFS® 150 is a single roll tension sensor designed to measure the running line tensions of yarn, wires, optic fibers, cables, tapes, bands, wraps, webs, foils and similar process materials. 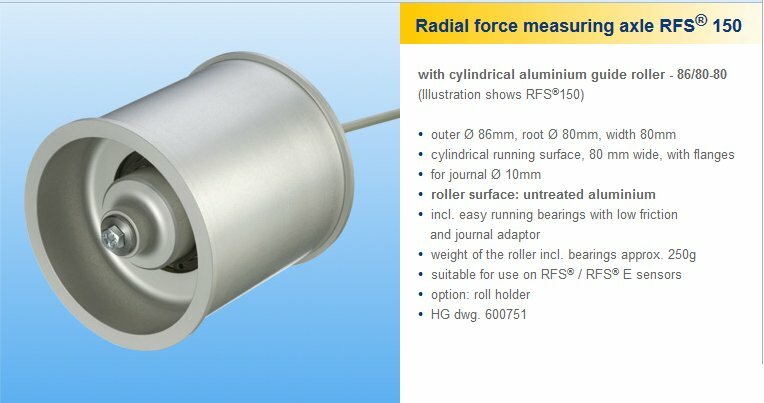 Existing rollers with 20-180 degree wrap angles can be converted for use as RFS measurement locations. 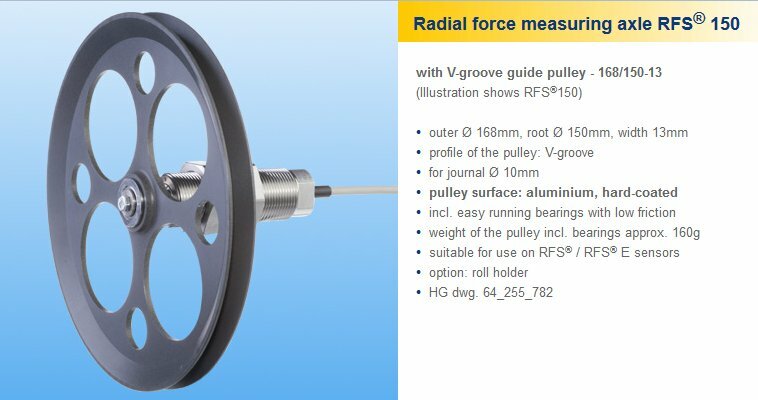 The RFS features a unique strain-gauge design delivering extremely precise and stable measurements while providing maximum overload protection. 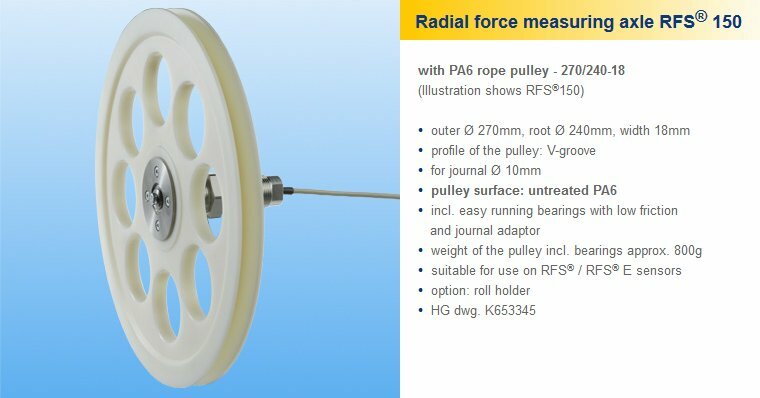 RFS sensors are used in a variety of low and high-range applications, such as measuring 1 or 2 grams on fine denier yarns/fibers to measuring wire/cable up to 300Kg / 3000 N / 660 lbs. 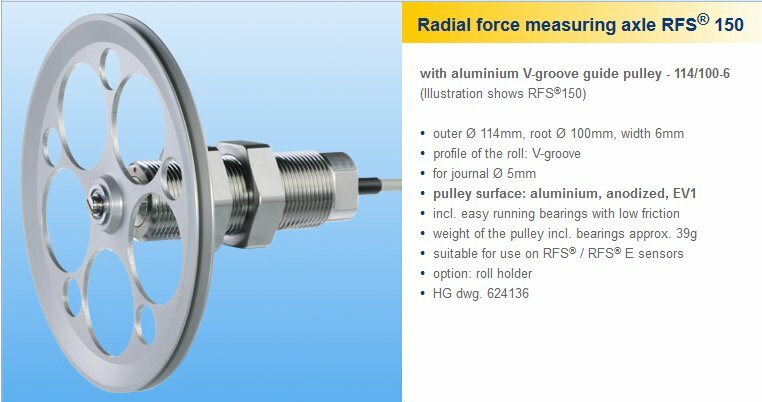 High precision mechanical design ensures the calibrated accuracy of the RFS remains unchanged throughout the sensor’s service life. 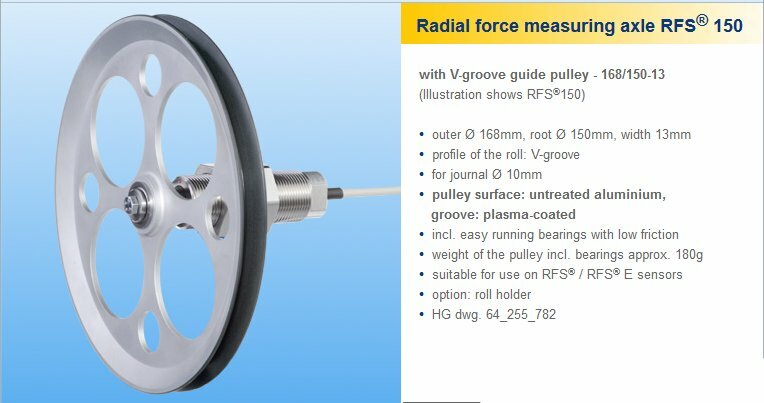 The measurement is not influenced by the force introduction point, i.e. 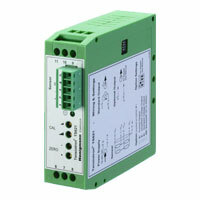 the sensor is not affected by lever arm action or any axial tilt torques which might occur. 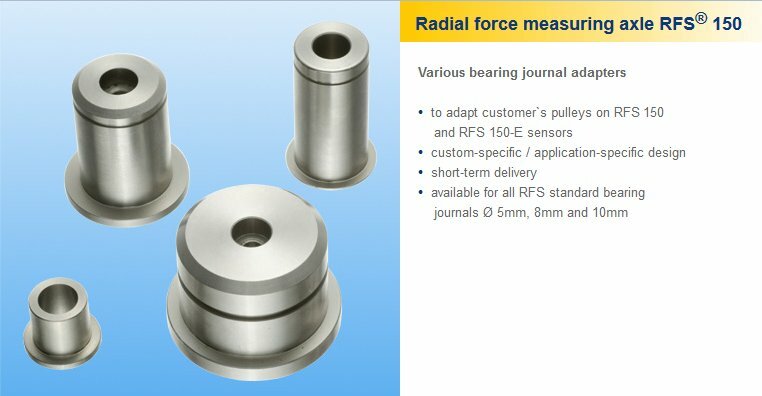 The force acting radially at the bearing journal, along the measurement vector, causes a microscopically small, elastic deformation of the complex load cell. 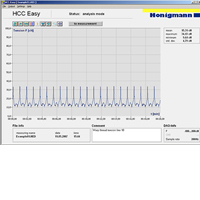 This deformation is registered at a pre-determined position by way of strain gauges and is then evaluated electronically. 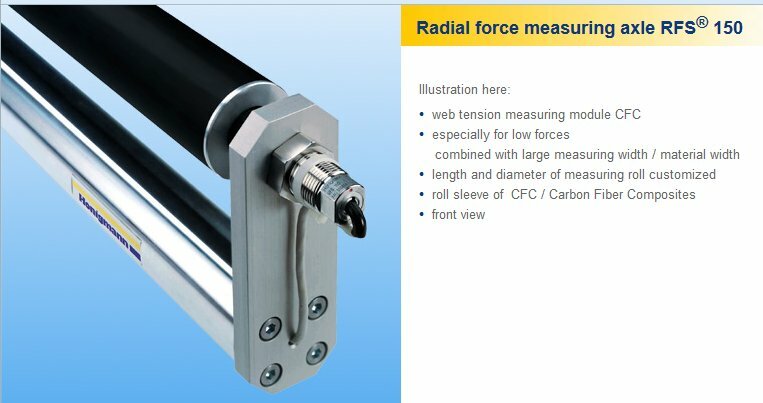 The high mechanical stiffness of the load cell enables measurement with virtually no excursion. 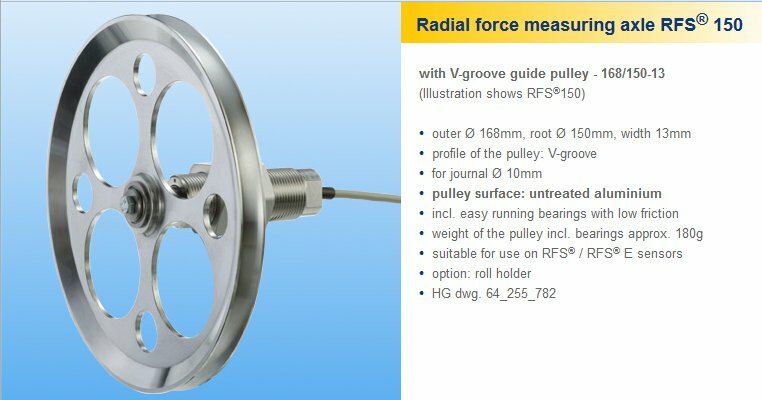 This tension measurement principle is based on the evaluation of the force applied radially and transferred to the sensor by way of the bearing journal. This force is determined by the reversing geometry and the line tension. 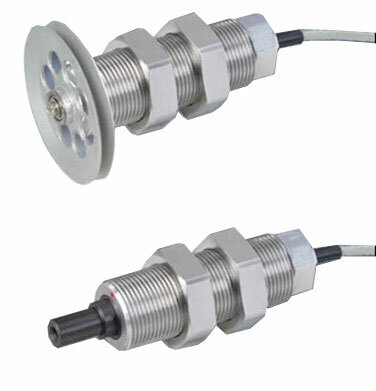 Custom sensor designs can be developed to meet specific applications requirements. Inquire. 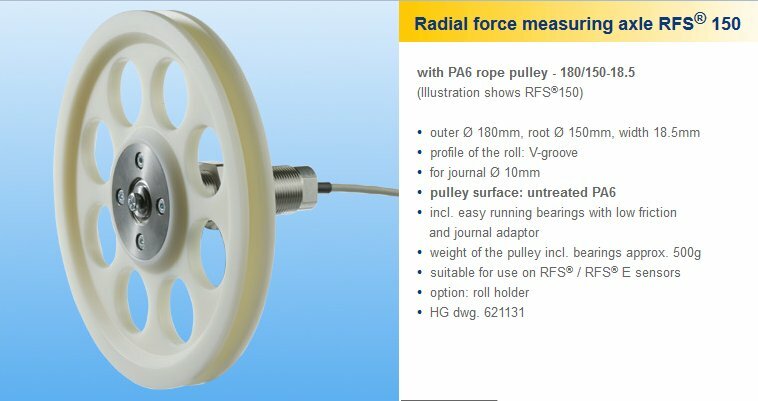 Existing rollers with 20-180 degree wrap angles can be used as measurement points for the RFS.